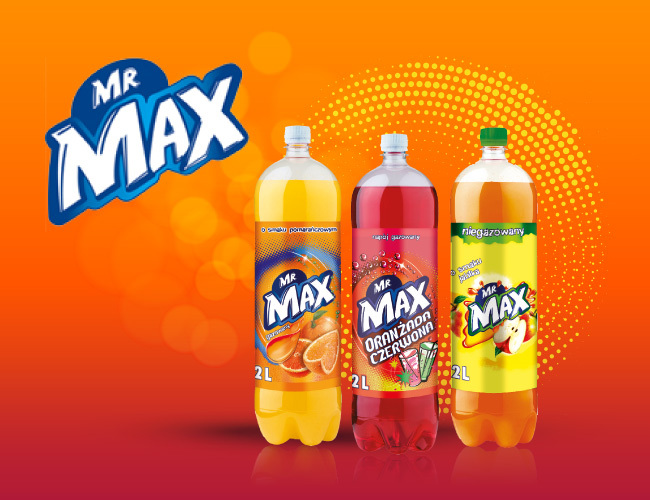 Mr. Max is a refreshing fizzy drink in four flavors: orange, cola, lime & lemon and red oranżada. In the non-carbonated version Max is a truly fruity flavor containing natural fruit juice available in six flavors: tropical, apple and orange. The best quality packshots are available HERE.